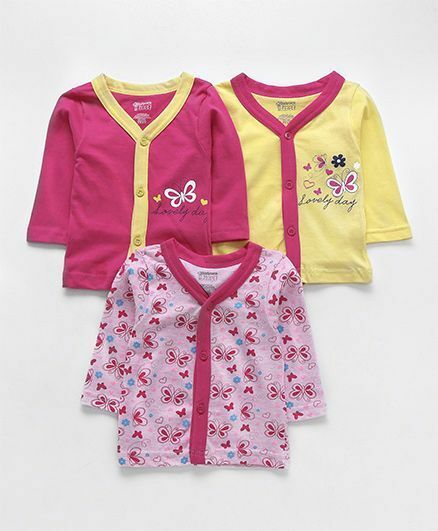 Bodycare presents this full sleeves vests for your little one. Cute print makes it look attractive and stylish. V neck neck adds elegance of style to it. Button closure ensures easy dressing. These vests will help to keep your kid comfortable all day long. Size are too small , only new born babys can wear. It is not for 3 to 6 months old baby.